Rory Cellan-Jones is the BBC Technology Correspondent. Rory Cellan-Jones started his career with the BBC in 1981 as a researcher on ‘Look North’ in Leeds. After moving to London to work in the TV newsroom for three years, Rory Cellan-Jones made his debut on-screen role for BBC Wales Today in Cardiff. He later returned to London to become reporter BBC Breakfast. He quickly transferred to covering business and industry working across the network on programmes such as the Money Programme, Newsnight, the Today programme, the Ten O Clock News and Working Lunch. The stories he has covered have ranged from Black Wednesday and the Maxwell trial to the dot com bubble and the rise of Google. In 2000, Rory Cellan-Jones was the BBC’s Internet Correspondent, and following the ‘dot com’ crash of 2000, he wrote the book “Dot.bomb”. Dot.bomb covers the histories of the big names of the frenzy and the free-fall of the dot.com market. The parallels with Silicon Valley and the US.com revolution are drawn gently. The stars, financiers, investors and market experts who contributed to the heady days are portrayed as they seemed then and as they look with hindsight. Since January 2007, Rory Cellan-Jones has been the BBC’s Technology Correspondent with the job of expanding the BBC’s coverage of new media and telecoms, and the cultural impact of the Internet. 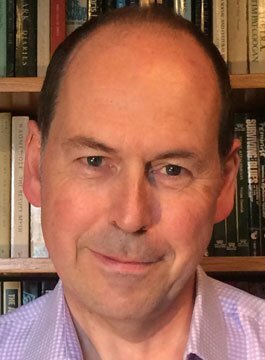 Rory Cellan-Jones is available for conference hosting and facilitating. As a speaker, Rory examines technological trends and provides an insight into what these developments could mean for business.